Incidents happen, which is why you have insurance in the first place. All of our policies include access to our in-house and 3rd party cyber security experts to help you resolve your claim quickly and efficiently. Would you trust your business, property, or auto insurer to help you through a cyber incident? We wouldn’t either, and that’s why Coalition is singularly focused on cyber and technology-related insurance coverage. Our team of security and insurance experts are dedicated to getting you back up and running following a cyber incident. This same team is available as a pre-breach resource to help you implement security and loss controls, all at no additional cost. Cyber incidents come in many forms—from denial of service attacks, network breaches, and malware to extortion, funds transfer fraud, and privacy breaches. When disaster strikes you need a partner who can move swiftly, and who is armed with an experienced and committed team supported by a global network of partners that includes lawyers, incident responders, forensics, crisis management specialists, and loss adjusters. Before: We mitigate breaches before they turn into claims. Businesses today face a myriad of threats, irrespective of their size or industry. 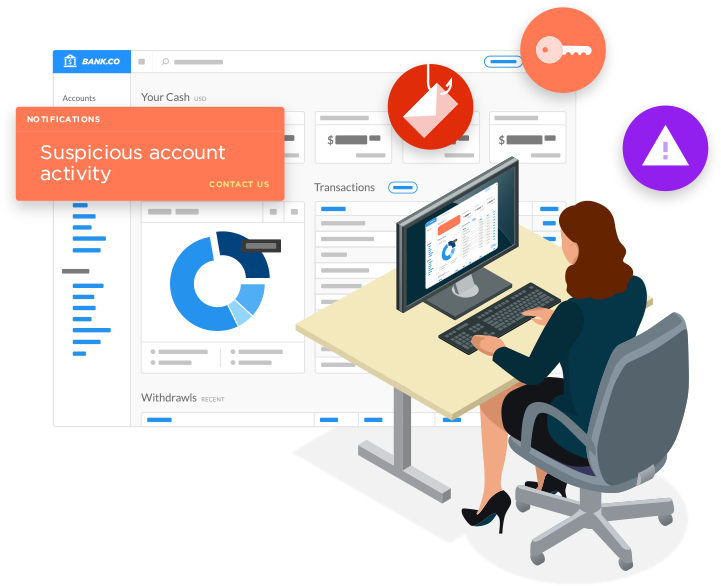 Whether a phishing, denial of service, or malware threat, Coalition’s apps combine cyber security tools and threat intelligence to reduce the chance of success of an attack before the damage is done. Prevent incidents and mitigate loss with Coalition’s included apps. Prepare your organization for a cyber incident with free resources and templates in the Coalition dashboard. Consult with Coalition’s team of internal security experts prior to an incident (available during business hours). All Coalition policies include coverage for qualifying pre-claims costs (see your policy for more information). Timely response to an incident is critical to mitigate loss. It can mean the difference between a road bump or a severe disruption of your business operations. At the onset of a claim, Coalition’s incident response team and our partners have immediate access to our full intelligence and risk analysis resources, enabling swift identification and containment of breach. No more waiting for your insurer to coordinate and authorize resources—with Coalition, they’re instantly available to you. Notice of claim or incident may be submitted online or by phone at +1.833.866.1337. A number of resources and personnel are available to assist you immediately. Helping companies recover and making them whole again is a core part of our mission. All of our claims are administered by North American Capacity Insurance Company, a member of Swiss Re Corporate Solutions, and Argo Group. Assign and engage internal and partner incident response resources. Immediate triage of threats, such as denial of service attacks. Hunt for indicators of compromise and adversary activity, analyze logs, and other threat containment activities. Engage PR consultant. Formulate initial PR response. Appoint breach counsel or other lawyers (as applicable). Consider legal implication of incident/claim. Protect confidentiality and privilege. Implement mitigation measures to prevent further damage/loss. Complete loss assessment, including potential for covered losses. Forensic investigation to determine extent of breach or loss. Ongoing monitoring and scanning for backdoors, exfiltration, and other malicious activity. Restore systems and recover lost data. Ongoing PR and notification to affected third parties. Provide credit monitoring to affected parties. Law firm will communicate with third parties (as applicable). Investigate and document financial losses resulting from interruption to your business. Re-establish appropriate security controls. Coordinate with authorities (including assistance with wire fraud recovery), as applicable. Resolve third party claims made against you. Identify and implement post-loss measures to prevent future incidents. Make you whole for any financial losses resulting from an interruption of your business. See testimonials from our policyholders and insurance brokers following real incidents and claims. Retention, or self-insured retention (SIR) is the amount of loss the insured (policyholder) must incur before insurance coverage takes effect. In other words, the insured is responsible for covering or paying for all losses, damages, and expenses up to the retention amount, after which the insurer begins making payments. Consequently, you can think of a retention as the risk that you retain (hence the term “retention”). A similar insurance concept is a “deductible,” used commonly in home owners, renters, and car insurance policies. However, although the purpose is the same, there are subtle differences. Do also note that retentions may differ between insuring agreements. In the event of a claim, the highest applicable retention applies. If you have any questions about retentions, don’t hesitate to contact us. When should I report an incident or file a claim? If you become aware of an incident or circumstance that could give rise to a claim, please immediately submit a claims notification within the policyholder dashboard or call us at 1.833.866.1337. Our team of claims and incident response experts are ready to provide immediate assistance and reduce the likelihood of an even greater loss. How can I monitor my claim status? Submitting, tracking, and supporting a claim should be easy. And that’s why we allow you to manage everything online. You can submit and monitor the status of claims within your dashboard. You can also easily upload relevant documentation, screenshots, and other information at any time in support of a claim. Call us at 1.833.866.1337 or submit a claim online.